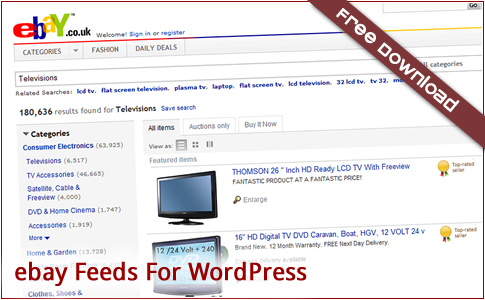 I am delighted to announce the release of eBay Feeds For WordPress version 0.8! By default the links open in the same window. 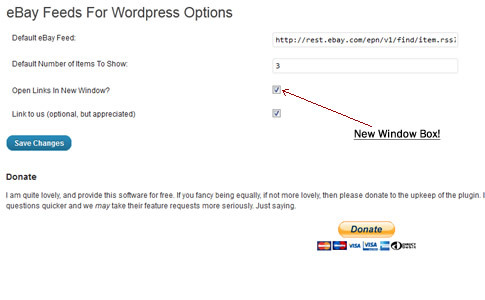 You will need to go to the options page to change it. Cheers to Mike at Biztek Consulting for helping with the testing!